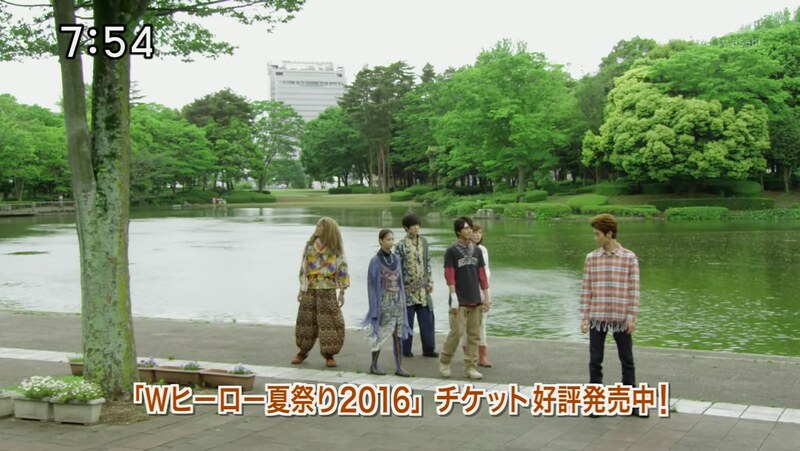 The Zyuohgers introduce themselves to Misao. And the Zyuman4 decide to introduce themselves by showing their Zyuman forms which absolutely freaks Misao out. They all head back to the treehouse. 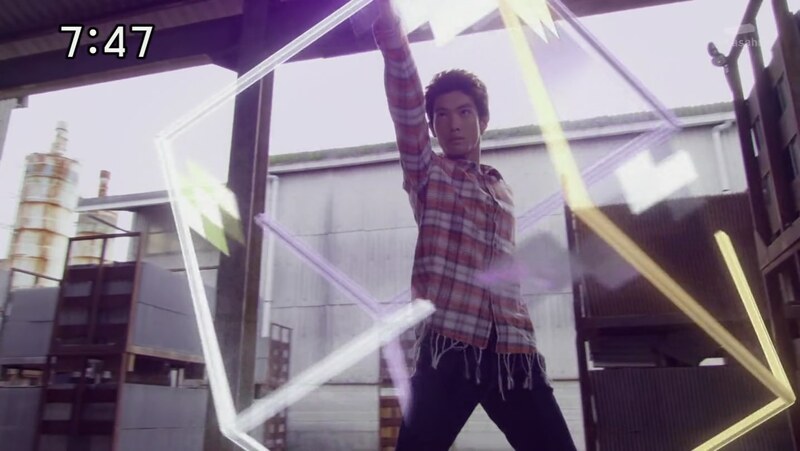 The Zyuman4 wonder why Misao is so afraid of them since he himself has Zyuman powers. Yamato offers some fresh clothes for the still shirtless Misao, but he won’t accept it. After hearing the whole story, he feels guilty about what he’s done and for the Zyuman4’s situation. Up on the Sagitariark, Naria apologizes to Ginis for losing TheWorld. But Ginis asks Cubaru and Azarudo to go collect their toy. Misao finally puts on a shirt, but can’t bring himself to accept the food they offer him even though he’s hungry. He explains that as a kid he was weak and shy and so he’s always been alone. “I’ve never even had a friend give me a nickname,” he says. That’s why he worked hard to become stronger, but even then he remained alone. Misao remembers not being able to resist Ginis offering him strength after seeing his weakness. 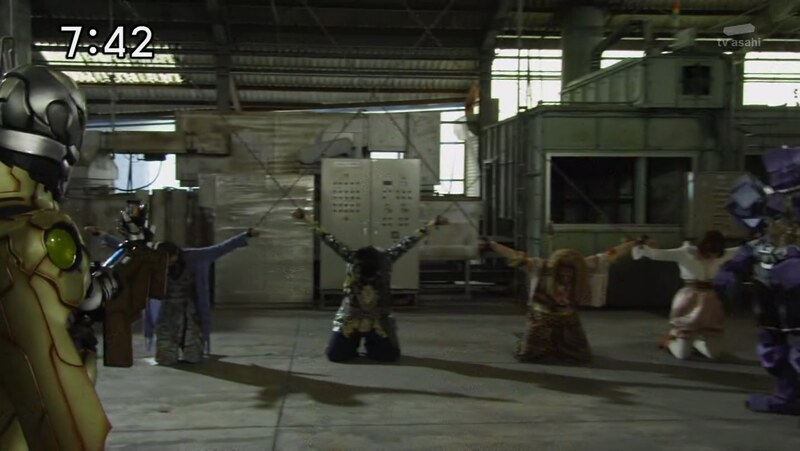 Suddenly, the Rhino, Crocodile and Fox Zyumans appear to Misao saying they will curse him forever for taking their powers. The others try to calm him down and reassure him, but Misao just can’t bring himself to fight alongside them as a comrade when he feels so guilty about the death of their fellow Zyumans. 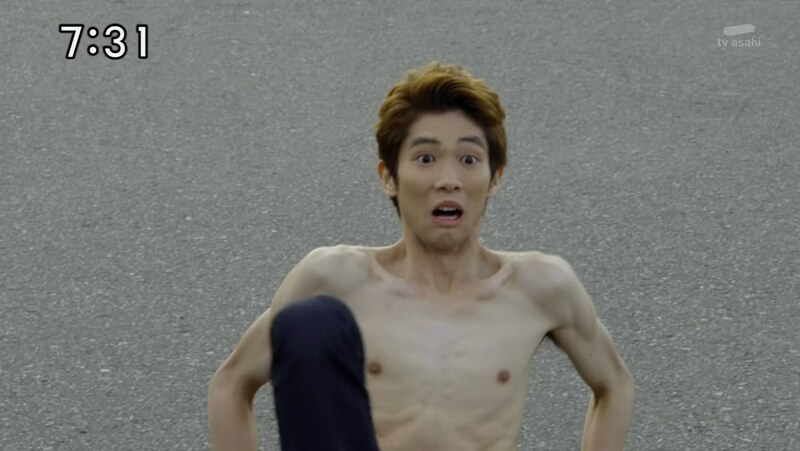 Misao runs out and Yamato decides to go after him. It isn’t until next morning that Yamato finds Misao at the park. Yamato offers him some food, but he still refuses. Across town, Azarudo and Cubaru are using Moebas to draw out TheWorld. But the Zyuman4 are the ones who show up to fight them. Azarudo and Cubaru demand to know where TheWorld is, but they aren’t talking. The Deathgalien decide to take the four hostage. Yamato tells Misao he sort of understands the guilt since he too received powers from Zyumans. That’s why he feels that using the power to protect the Earth is his way of repaying them. Misao says their situations are different because the powers inside him were taken from the Zyumans against their will. He admits that he is scared of the power inside him. He suddenly gets a call, but it’s from Cubaru. He tells Yamato to bring TheWorld or the others will surely get it. TheWorld overhears the others getting beaten and tells Yamato to bring him to the Deathgalien. He doesn’t care what will happen to him as long as the others are saved. But Yamato says that’s not going to work because he cares about him and they have a connection. He tells Misao to just run and he will go save his friends. Yamato heads to the warehouse and morphs to Gorilla. Azarudo wants to settle the score with him so they fight. Cubaru asks the others to fess up about TheWorld’s location, but they refuse so Cubaru helps Azarudo fight Yamato. Misao is outside, struggling with what to do. The three Zyumans appear to him again to remind him of their curse. 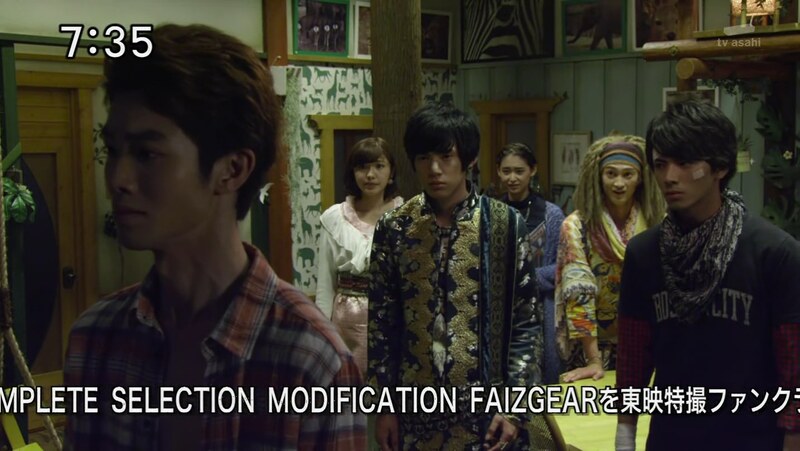 But Misao can’t allow the Zyuohgers to sacrifice themselves for someone like him. He wonders if he can possibly use the Zyuman powers within him. The crocodile Zyuman says of course. It’s all the Deathgaliens’ fault anyway. Misao doesn’t understand. The Zyumans say they’re just figments of Misao’s imagination. The crocodile and wolf Zyumans argue over whether Misao can truly use the powers or if he’s cursed with guilt forever. But the rhino Zyuman suggests Misao do both. He can fight alongside the Zyuohgers while still atoning for his perceived sins. Misao heads into the warehouse. Yamato asks what happened and Misao says the rhino made the most sense. 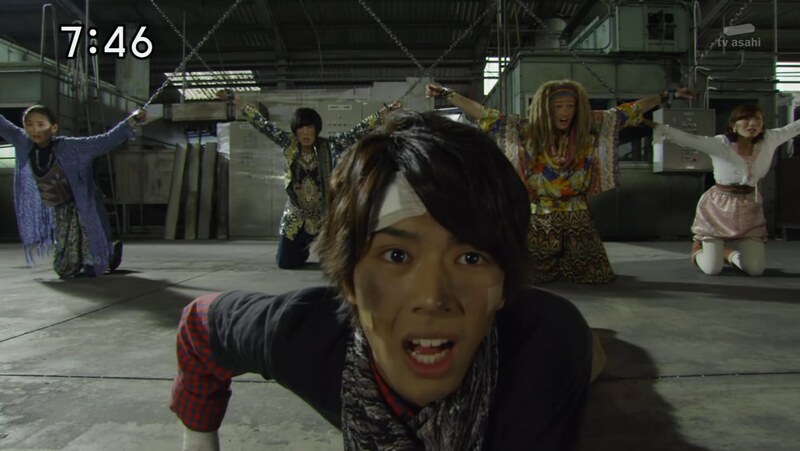 Yamato joins Misao against Cubaru and Azarudo. 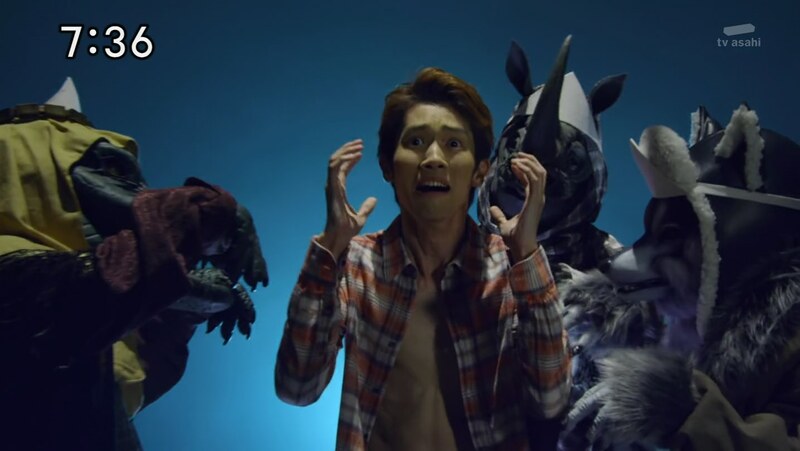 And when Misao unleashes his beasts to deliver TheCrash, he is able to knock both Cubaru and Azarudo away. The Zyuman4 manage to break free of their chains and reclaim their Cubes. Just in time as Bowlingen is back, already embiggened and hitching a ride on some Triangulars. Tusk remembers TheWorld saved Bowlingen which makes Misao feel bad again. But Yamato gets him to snap out of it. Misao tells the others to leave this to him as he hops into Tousai Zyuoh. He is able to trick Bowlingen and is able to finish him off with a Triple TheBeast attack. Misao tells the Zyuohgers to just call him if they ever need his help. He walks away. Yamato offers to take him out to eat one time. Micchan excitedly comes running back to them. But he then feels embarrassed about being so eager. Yamato assures Misao that he is serious about the offer. 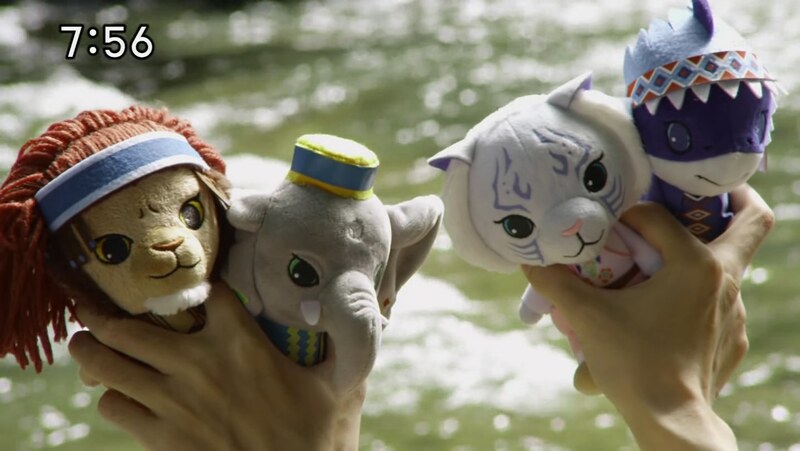 Later while fishing by the river, Misao makes four cute stuffed toys of the Zyuman4. This was a great episode! It definitely exceeded my expectations. I thought they handled Misao’s backstory and full introduction very well. I didn’t expect to learn that much about him, though I hoped we would. And we did. We got just enough about his character without an expository dump. And it was interesting stuff. I did not expect him being alone all his life or being weak and not confident. 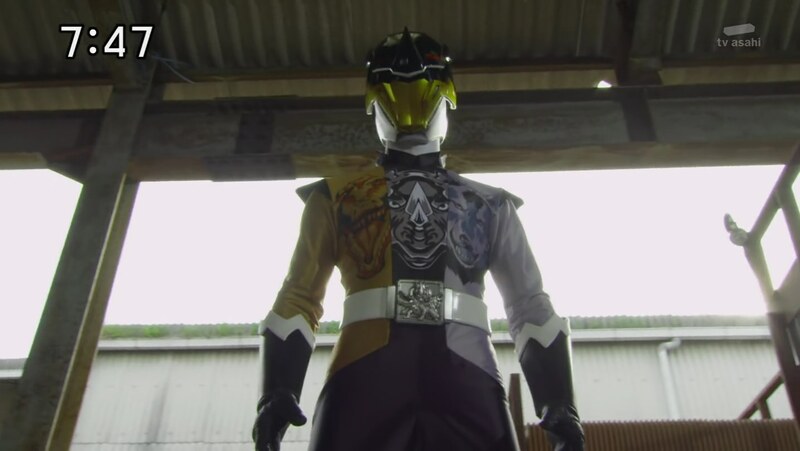 That’s a very interesting and different character setup for Sentai, especially for the 6th Ranger. I hope they get to do more with him and his story moving forward. And he was very endearing. Misao’s story also helped further Yamato’s development and support his friendly personality. I definitely liked that they touched on the three Zyumans whose power was taken to fill Misao. The show acknowledged that they’re pretty much dead and murdered by Ginis. That’s low-key dark. But really, the dark and morbid aspect of Ginis and his Most Dangerous Game have been low-key all season so far. There have been so many civilian deaths and collateral damage, more than any season I’ve seen, at least. But it’s never dwelled upon even though it’s pretty obvious. So that makes Ginis all the more scary and sinister. And it adds a layer to the villains, which is great for the story. I like how “Better not underestimate this planet” becomes “Better not underestimate ME” for Misao aka TheWorld. That’s fun. Also, they’ve really done a great job making the mecha battles feel fresh and different. Trying new things. Cube Crocodile, Cube Wolf and Cube Rhino’s different and unique attacks on the Triangulars were great. So overall, I definitely enjoyed this episode and it might be one of my favorites of the season so far. Hope they keep the momentum going. ← Recap: The Amazing Race Canada 4, Episode 2 – "You're spraying me in the face!"